Made his debut with Dinamo Bucharest (Romania) during the 2002-03 season. Signed for the 2004-05 season by Rapid Bucharest. Signed for the 2005-06 by PEI Timisoara. Signed for the 2006-07 season by CSU Ploiesti. Signed for the 2008-09 season by Dinamo Bucharest. Signed for the 2010-11 season by CS Municipal Bucharest. Signed for the 2011-12 season by CS Cluj Napoca. Signed for the 2012-13 season by CSU Sibiu. In February'13 signed by CSU Cluj Napoca. 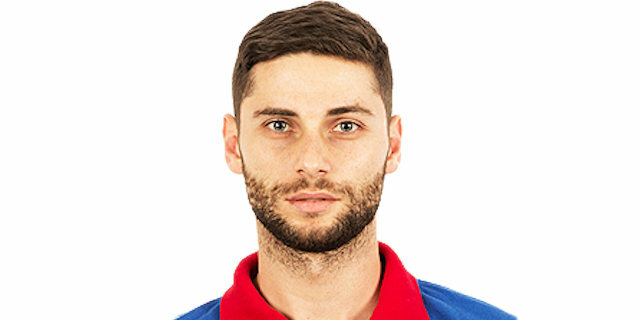 Signed for the 2013-14 season by Steaua CSM Bucharest. Won the 2002-03 Romanian National Championship with Dinamo Bucharest. Won the 2006-07 and 2007-08 Romanian National Championship with CSU Ploiesti. Won the 2007 Romanian National Cup with CSU Ploiesti. Played the 2010 and 2015 Romanian All Star Game.